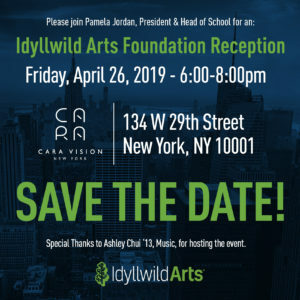 Alumni are invited to return to the Idyllwild Arts campus and join us for a special weekend of events, performances, discussion, and interaction with fellow alumni, current students and the parents and prospective families. This is the first time we’ve brought these groups to campus for an exciting and busy weekend. Classes being honored are the Classes of 1988, 1993, 1998, 2003, 2008, & 2013!